We all have ideas, be them good or bad, that have the potential to change people lives... And ours. Ideas can be very simple, like PewDiePie starting to record videos in 2011 and reaching more than a million views. 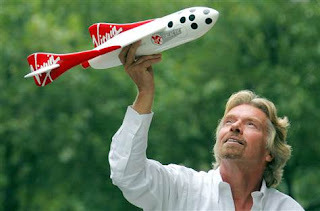 Ideas can also be challenging like sending people into space, which is what Sir Richard Branson does with Virgin Galactic. Everybody has children dreams they'd love to see coming true, what's yours? So Business Ideas makes ideation easy, but how? Because ideas cannot come to life alone and often execution counts more than anything, Business Ideas is a framework on which your idea can grow. We only have one go at life, so we better put the best chances to succeed on our side. It all starts with an idea, pick yours on Business Ideas and it happen.